Enjoy a Joyful and Renewing Spring. An Ayurvedic seasonal routine is to align ourselves with the dynamic rhythms of the natural world. Mother nature moves in a fluid and organic way and spring is a season of transition, so a springtime routine is not intended to be rigid or static. During the winter months, we usually eat more and often the food we eat has heavier and richer qualities. We tend to ‘hibernate’ – staying indoors more and generally become less active. These acts fuel our metabolism to keep us feeling warmer and provide insulation for the colder months, but this extra food and less activity can also lead to strain on our digestive system causing a build-up of Ama (Ayurvedic term for toxic plaque) and excess weight. The Ama blocks the channels in our body and becomes stored in our cells, slowing everything down and producing symptoms such as sluggish digestion, fatigue, poor sleep, foggy mind, low moods, poor concentration, white coating on the tongue, bad breath, joint pain and weight gain. 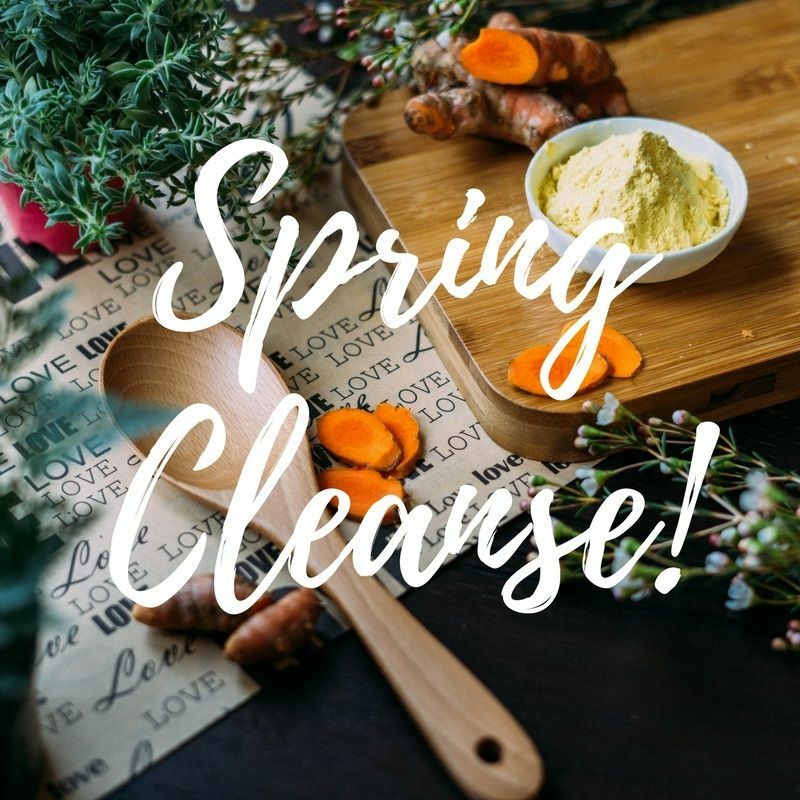 Spring is invigorating, and time of year for renewal, new energy and vitality as the sunlight and warmth begin to melt away the winter chill and snow – this is Mother Nature’s natural cleansing cycle. As animals in nature start to slim down to lose their winter coat in spring, the same effect naturally begins to happen in our own body to decrease the accumulation of Ama (toxins) and excess weight gained during the winter period. As spring is the natural cleansing season, it is best to utilise this energy to clear out excess Ama from the system and to renew for the year ahead. The best way to do this is a short home cleanse. Panchakarma is the ancient Ayurvedic practice to cleanse and detoxify, gently guiding your body back to health. Traditionally performed in therapy centres such as Sukhavati Retreat and Spa, we are offering a gentle version of this ancient program that brings profound changes in your body, mind and spirit, all in the comfort of your own home. In the comfort of your home, you’ll enjoy 3 to 7 to 14 days of nourishing home treatments, delicious food and time for you to refresh and renew. All with the caring guidance of our Health practitioner. The result will be greater energy, health and clarity. There is no one-size-fits-all when it comes to restoring health and wellbeing according to Ayurveda. That’s why we start the program with an in-depth consultation and create a personalised plan specific for you and your needs. This unique program based is on centuries-old Ayurvedic wisdom. This specific home cleansing program comes from a long tradition out of India, directly from our Ayurvedic practitioner’s teachers. So, this program has been tried and tested over many thousands of years and has assisted many people in transformation. This program is not a fast. You eat delicious, wholesome food throughout the whole program, and you can eat as much as your appetite desires! Our program supports every part of your being. From the daily routines to the food you eat, the guidance and support you receive. You won’t feel deprived on any level. As we tailor the program to you, you have the choice of doing a 3 day, 1 week or 2-week program. You start off the program with an in-depth consultation with our practitioner who will talk to you about your health concerns, aims and your lifestyle. From there we will create a plan to suit your needs on all levels for easy compliance and greater success. A one-hour Ayurvedic health consultation (via Skype or in-person) to develop an individualised program for your unique needs and lifestyle. We can chat about what duration would be best and what is achievable. A program guide with a full overview, covering all the details you need to know – including the Daily Routine, Home Spa Treatments, Recipes, Instructions, Cleansing procedures and more. A 15-minute Ayurvedic health consultation after the completion of your cleanse. A personalised cleansing package shipped to your home with the herbs, oils and supply’s you need to support you on your journey to greater health. Email support whenever you need it throughout the program. Time for you: Set aside days of reduced activity and extra rest for the duration of the cleanse. It’s great if you can reduce your regular workload or ideally, take time off during this program. You’ll need to set 1 day aside for the deeper cleansing aspect of the program. A working kitchen: You’ll need a space to cook the nourishing and cleansing diet, as outlined in the program. A quiet space in the house: You’ll learn practices such as pranayama (gentle Yogic breathing) and Yoga postures. These will support you in the cleanse, but will also be lifelong tools for wellbeing. A quiet, dedicated space to practice is ideal. Tegan is a qualified holistic health practitioner. She specialises in Ayurvedic Medicine, Naturopathy, Holistic Nutrition and Herbal Medicine. Since completing her Bachelor degree in Health Science (Naturopathy), Tegan gained clinical experience around Australia, before spending 12 months working at Sukhavati Ayurvedic Retreat in Bali. In this role she consulted with guests and guided them through their Panchakarma (detox) program, educating guests in the philosophy and tools of Ayurveda. Tegan has studied Ayurvedic Medicine under world-renowned Ayurvedic doctor Dr Smita Naram, based in Ayushakti Ayurveda in Mumbai, India. Her training with Dr Smita has been ongoing, including clinical experience in Ayurvedic consultations, Panchakarma therapy and Ayurvedic pulse diagnosis. Additionally, she has furthered her studies in Ayurveda, Yoga and Meditation under Dr David Frawley from the American Institute of Vedic studies and here in Australia with Dr Bosco. Please note: If you are seriously ill, emaciated, pregnant, nursing or have unstable blood pressure, this program may not be appropriate. Contact us to discuss other ways to support your health.